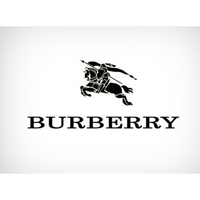 The share price for Burberry Group plc with company EPIC: LON:BRBY has decreased -3.21% or -57.5 points during the course of today’s session so far. Investors did not seem confident during the trading session. The periods high has reached 1756 and a low of 1725. The amount of shares exchanged has so far reached 411,334 with the average number of shares traded daily being 1,602,967. The 52 week high is 2338 amounting to 548 points in difference to the previous days close of business and a 52 week low sitting at 1481.5 which is a difference of 308.5 points. Burberry Group plc now has a 20 moving average of 1741.47 and now its 50 day moving average of 1794.79. The current market cap is £7,127.24m at the time of this report. The share price is in GBX. Mcap is measured in GBP. This article was written with the last trade for Burberry Group plc being recorded at Thursday, January 10, 2019 at 11:59:59 AM GMT with the stock price trading at 1732.5 GBX. Shares in Direct Line Insurance Group PLC with EPIC code: LON:DLG has slid -1.38% or -4.5 points during today’s session so far. Traders were not positive during this period. The period high was 324.65 and hitting a low of 316.2. Volume total for shares traded at this point reached 1,524,483 with the daily average number around 6,876,960. A 52 week high for the stock is 397 amounting to 70.4 points different to the previous business close and a 52 week low sitting at 300.66 a difference of some 25.94 points. Direct Line Insurance Group PLC has a 20 day moving average of 316.83 and now the 50 day moving average now at 321.76. This puts the market cap at £4,428.88m at the time of this report. The stock is traded in GBX. Mcap is measured in GBP. 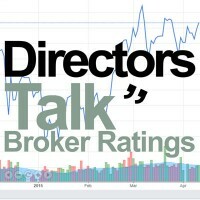 This article was written with the last trade for Direct Line Insurance Group PLC being recorded at Thursday, January 10, 2019 at 11:59:41 AM GMT with the stock price trading at 322.1 GBX. 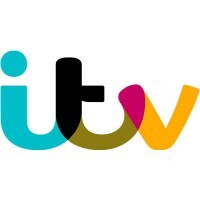 Shares of Associated British Foods plc ticker code: LON:ABF has decreased -1.81% or -41 points throughout the session so far. Traders have not remained optimistic throughout the session. Range high for the period has seen 2278 while the low for the session was 2224. The number of shares traded by this point in time totalled 307,538 whilst the average number of shares exchanged is 1,355,722. The stock 52 week high is 2905 around 637 points difference from the previous close and the 52 week low at 2011 which is a variance of 257 points. Associated British Foods plc now has a 20 simple moving average of 2154 and a 50 day moving average now at 2359.49. Market capitalisation for the company is £17,630.58m at the time of this report. All share prices mentioned for this stock are traded in GBX. Mcap is measured in GBP. This article was written with the last trade for Associated British Foods plc being recorded at Thursday, January 10, 2019 at 11:59:59 AM GMT with the stock price trading at 2227 GBX. Shares of Just Eat PLC with EPIC code: LON:JE has moved down -2.01% or -12.8 points throughout today’s trading session so far. Traders have not remained optimistic during this period. The high for the period has peaked at 638.2 meanwhile the session low reached 622.2. Volume total for shares traded at this point reached 522,478 while the average shares exchanged is 3,291,483. The stock 52 week high is 906 some 269.4 points different to the previous business close and a 52 week low sitting at 519.2 which is a difference of 117.4 points. Just Eat PLC now has a 20 simple moving average of 599.36 and now its 50 day SMA of 598.05. The market cap now stands at £4,248.34m at the time of this report. The currency for this stock is GBX. Market cap is measured in GBP. This article was written with the last trade for Just Eat PLC being recorded at Thursday, January 10, 2019 at 11:59:49 AM GMT with the stock price trading at 623.8 GBX. Shares of SCHRODERS/PAR VTG FPD 1 EPIC code: LON:SDR has slid -1.32% or -35 points during today’s session so far. Traders have so far given a mostly negative outlook while the stock has been in play. The periods high has reached 2640 dropping as low as 2607.5. The total volume of shares traded by this point was 84,430 whilst the average number of shares exchanged is 428,165. The stock 52 week high is 3784 which is 1134 points different to the previous business close and a 52 week low sitting at 2289 making a difference of 361 points. SCHRODERS/PAR VTG FPD 1 now has a 20 SMA at 2488.76 and now the 50 day moving average at 2540.94. The market cap now stands at £7,167.86m at the time of this report. The stock is traded in GBX. Mcap is measured in GBP. This article was written with the last trade for SCHRODERS/PAR VTG FPD 1 being recorded at Thursday, January 10, 2019 at 11:59:49 AM GMT with the stock price trading at 2615 GBX. Click ABF BRBY DLG JE SDR for the full archive.